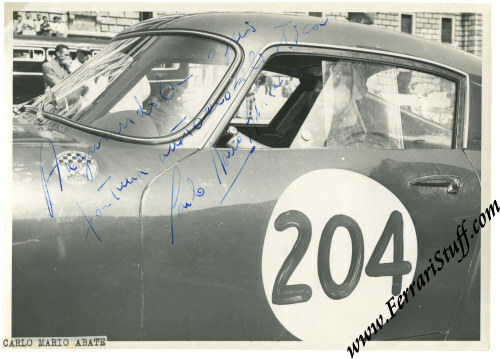 1959 Carlo Maria Abate Autographed Photo Ferrari 250 Tdf S/N 1313GT. This is a vintage 1959 photograph of Carlo Maria Abate in his privately owned Ferrari 250 TdF S/N 1313GT at the start of an unknown event. 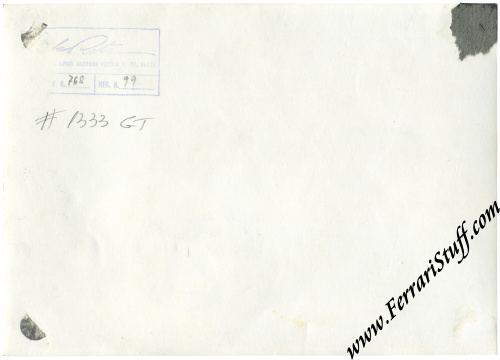 The photo was in-period autographed and dedicated by Carlo. The car, S/N 1313 GT, survives to this day. This photo measures approximately 18 x 13 cm.